Getting your content marketing discovered is like meeting someone special at a crowded dance. It’s a challenge since everyone’s on his or her best behavior. 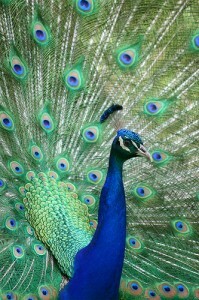 To stand out, your content marketing must be a peacock in a sea of other information demanding to be consumed. To get your content marketing noticed, let’s break the goal down to manageable tactics just as you might do to attract someone special at a crowded event. Remember, the goal is to create compelling content. Here are twenty actionable marketing tips to get your content marketing discovered. Start with right clothes. You want to put your best foot forward. Add alluring photographs or graphics. Like attractive, attention getting jewelry, incorporate content eye-candy. Eliminate poor grammar and bad spelling. You wouldn’t want to turn someone off when you open your mouth at the dance. Like minding your manners and not chewing gum, your content’s goal is to make a good first impression. Use headlines to attract attention. Like wearing the right kind of makeup that accentuates your best features, a strong headline draws readers in. Make your content easy-to-consume. Just as you’d comb your hair to frame your face, use bolding and bullet points to highlight your content’s important points. Get noticed. You want to be in the right place with the right look. Present your content so it stands out. You don’t want to wear the same strapless black cocktail dress as every other woman. How can you make your content special? Use a unified color palette or special typeface. Optimize your content for search. To be in the right place where people are looking, incorporate keyword phrases that enhance your content. Think in terms of the words and phrases people use searching for the information you have. Lure people in with link bait. One way to get attention is to have something others want. In terms of content, this translates to creating linkbait such as the Top 100 blogs or other list. It’s like looking popular to get people to come to you. Offer something special that everyone wants to have. Give out unique content that screams to be read. Don’t blather on rewriting stuff you’ve seen elsewhere. Give readers something unique they can’t find anywhere else. Be in the right company. Interview people in whom your target market is interested, so you can be discovered by association. Be a member of the in-crowd. Think about the company you keep. Become a member of a social media tribe. Show that you belong and have others who are willing to help you share your information. Make your friends and colleagues look good. Collect expert opinion into a round up post. It gets others to help share the information and link into your website. Get noticed by jumping into the conversation. Comment and engage on other people’s blogs and content. Add value in what you say. Get readers to think about checking out who you are. Let other sites republish your content. To extend your reach. Selectively allow others to republish your content. It shows you’re a team player while getting your name out. Engage with others. At some point, you need to mingle. What will you say? Borrow other people’s audiences. The best way to leverage other people’s audiences is to write great content for them in the form of guest posts. Give away some of your best content to attract readers to your site. Give an interview. Here’s another way to leverage other people’s audience by answering questions that are relevant to that audience. Remember you can’t just rehash the information on your website. It must be relevant to the readers. Present a keynote or talk. Engage people and share your content in real time. Keep this information alive by sharing with the audience. Get invited to be the guest at a Twitter chat. Share your information with an existing group a relevant group on Twitter. Help the press and get your name in print. Use a service like Help A Reporter (aka HARO) to get mentioned in other media. Make sure readers can find your content. Ensure your URL is search friendly. Incorporate real words into your URL, not computer generated garbage. To get your content discovered, it must stand out from the crowd. Your content must be dressed up and ready to go when the opportunity to get noticed presents itself. What other suggestions do you have to help get content marketing noticed? Here are some other articles you may find of interest. 7 Steps to streamline content creation. Tags Actionable Marketing Tip. Bookmark the permalink. Thanks for the advice. One question about optimizing for search with keywords…My assumption is to include as many key words/phrases as possible without compromising the actual content and readability of the post. Am I on the right track, or do you have a magic number?? I just found this post, which essentially answers my question. Here’s the link for anyone who might have had a similar inquiry.